WI Gov Scott Walker’s Campaign Goes Too Far – Don’t buy toys for your kids. Donate to him instead. 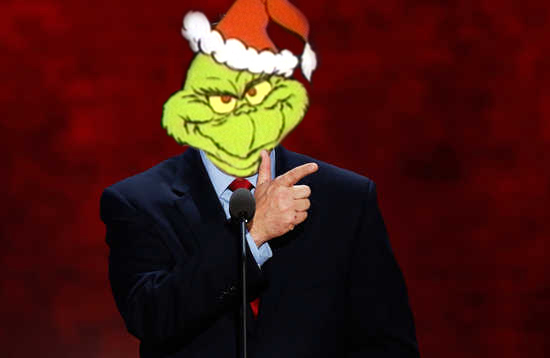 Earns “Grinch of the Year” Award! This has me so hopping mad I cannot even think of what to say – but then, I don’t think I need to say anything. This letter speaks for itself. 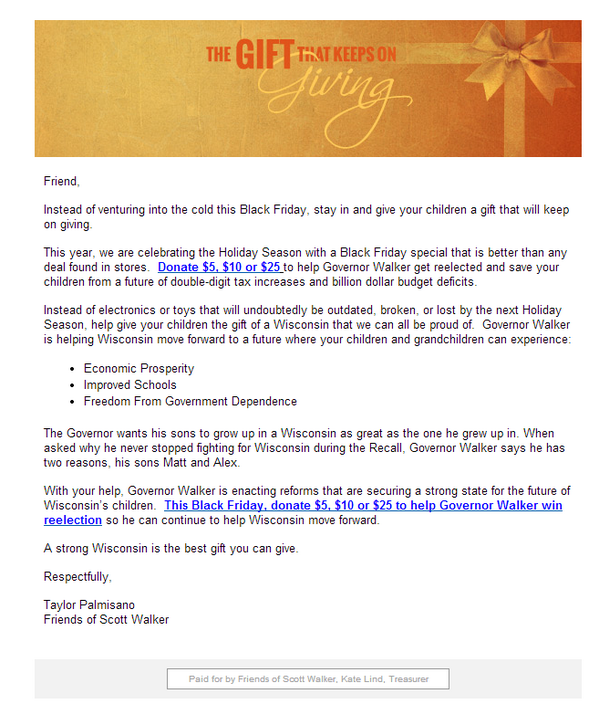 The gall of Wisconsin’s Governor Scott Walker’s campaign to even think about asking his constituents to forego buying their children presents but rather spend that money on HIM. This is one of the most selfish and despicable acts I have ever seen by a politician. For those of you who didn’t want to recall him out, shame on you. This is what you’ve got now. Best of luck to ya. Gratefully, I doubt there is a single parent out there that will place Walker as more important than their child or children. Here is a copy of the letter just so you can see the words yourself. The full transcript is below the image just in case the image is hard to read. Instead of venturing into the cold this Back Friday, stayi n and give your children a gift that will keep on giving. Zimmerman lists a painting on eBay that looks like “paint-by-numbers”. Bid nears $100k. What a jerk (nicest word I can think of). And some PR person, whoever dreamed this up, should be fired. Of course, if it was the governor’s idea … we’ve got some people in CO who’ve run some very effective recall campaigns. 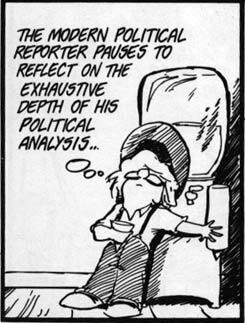 I would hope that all campaign mgr’s go over the campaign theme/target/plan/whatever with the person they are campaigning for prior to publicizing it. If they didn’t go over this with Walker, yes, that fool needs to be fired. If they did, Walker definitely needs to be fired – but they already tried that and the fat wallets pulled ahead. What a horrible thing to send out as a suggestion. I had a dyslexic moment there cause I honestly thought I read ‘donate *them*’ as in, give the toys to those less fortunate instead of buying them for your own kids. When I reread it, I couldn’t believe anyone would have the gall to suggest such a thing. He’s my neighbor to the North and I’m familiar with his shenanigans but, this goes beyond the pale. It’s just completely and utterly wrong. There isn’t anything “right” or “okay” about it. And just imagine the children on Christmas morning when the parents tell their children. I can see them going for it…can’t you? Ayup. I feel the same way on FB. Kinda hard to hit a “like” with some of the news – a lot of the news. Walker is a snake-in-the-grass… and that’s being very nice.